To make a Metrol spring you need more than machines and steel; to make a Metrol spring, you need the Metrol team. The progress made over the last few years is built on the foundation of not only looking after our customers but the work force, aka the Metrol family, as well. Therefore, it makes sense we celebrate this tradition in the form of AFC Metrol. 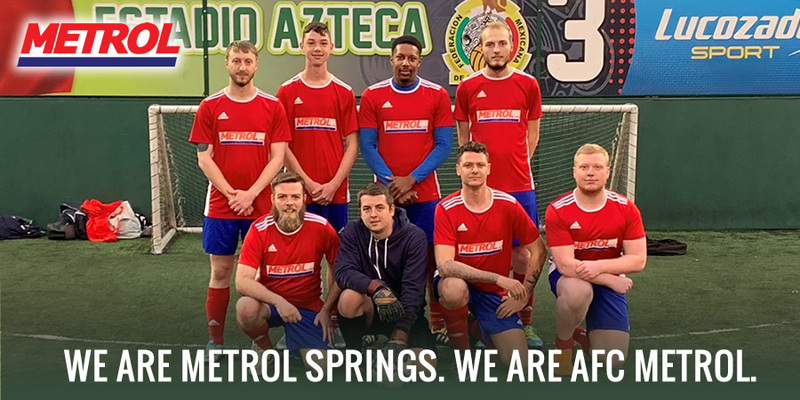 Every Monday a dedicated group get together to compete in the local 5-a-side league, we now have a number of wins under our belt and a fresh new look, check out the image above to see our new kit. Check back soon to read how the AFC Metrol progresses through the league.